Hello! I am just back from a quick trip to Denver this weekend to visit Melissa. Yesterday she and I grabbed bikes out of the garage (I rode her husband Chanh’s Huffy and she rode her Raleigh “Black Beauty”) for a relaxing ride around the neighborhood. So, yeah, in Denver a ride around “the neighborhood” can be pretty darn amazing. …Melissa led me down a lovely trail through a huge park. 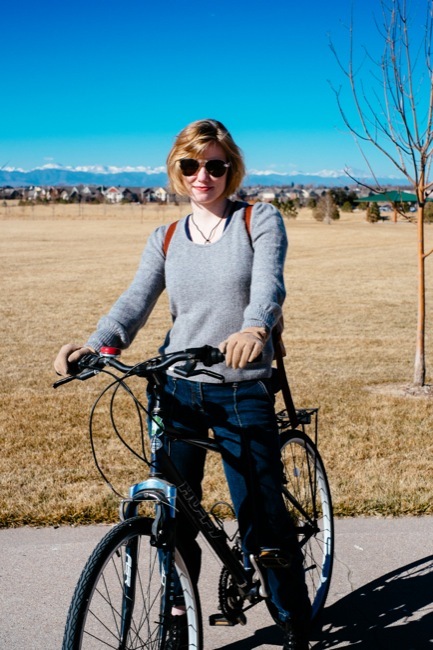 As you can see, winter bicycling in Denver is not like winter bicycling in Chicago. The bright sun and extremely clear sky were super bright, especially coming as I was from the dark and grey world of Chicago. Good thing I had my big sunglasses. A couple of details: the cool bell on my bike and Melissa’s cute biking shoes. The park area where we were biking actually used to be an air force base, which this huge plane commemorates. Some areas built up in place of the old base look a bit too suburban pre-fab for my taste, but overall it is a beautiful environment. We took a break from our ride to enjoy a refreshment at a beer garden. I love the beer culture in Denver! Finally, we got a quick picture together before heading home. 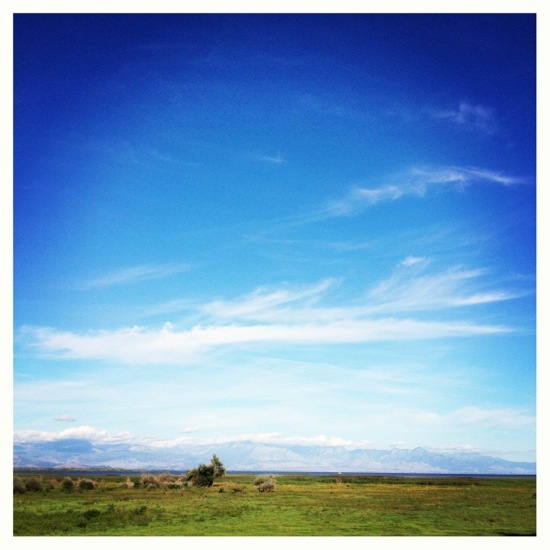 The day before our bike adventure, we explored the town of Golden, Colorado on foot. Where I guess they appreciate bicyclists! This town is where Coors is brewed, but we chose to visit a couple of smaller breweries instead. 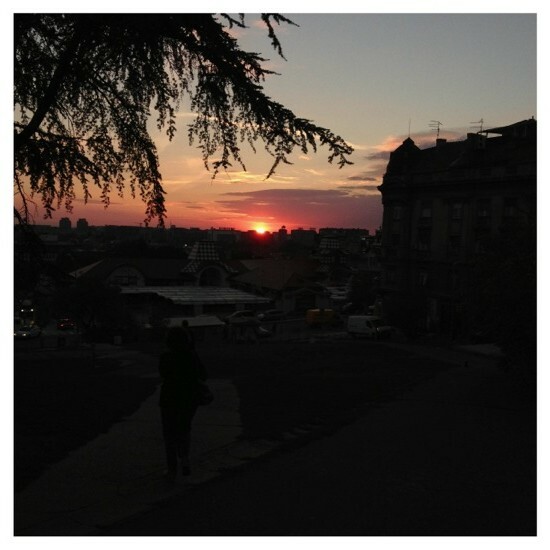 First, Golden City. Their sign cracks me up. Then an ice cream intermission for this little guy (his first!). And then a walk in the fresh air to the second brewery, Mountain Toad. As I write this, I am back in Chicago: snowy, freezing, and Melissa-less. So sad! I’m sure I’ll be back in beautiful Denver again in the next year. For previous Colorado adventures, see Brewery Bike Tour in Fort Collins and B-Cycling in Denver. 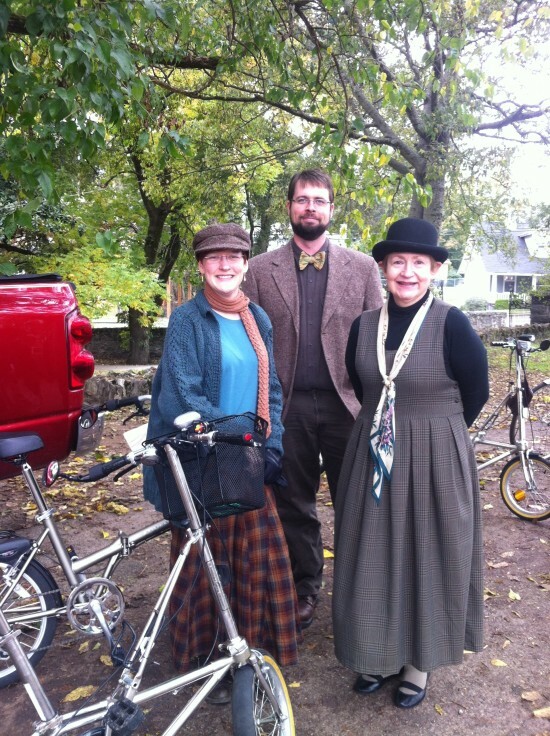 We had such a great turnout for the Tweed Ride last month! Despite the very British chill in the air, a lively group of dapper ladies and gents met at Sevier Park. Three pubs and five hours later, we all biked home. Here are some pictures from the day. Amanda sets the pace on Patty. Car factory taken over by bikes. I should mention that I cross-posted this event on the Slow Ride Nashville meetup page. 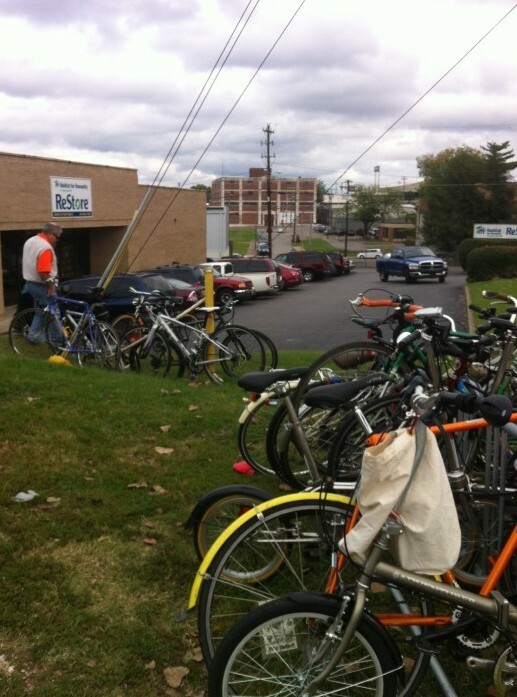 If you’re looking for more ways to get out and about on a bike in Nashville, check it out! 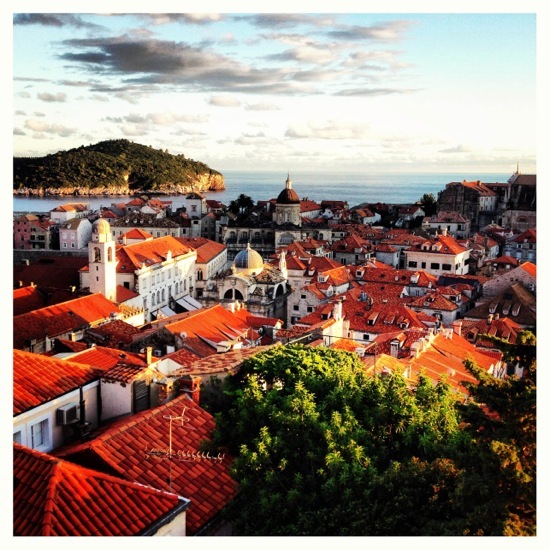 Trisha posted a teaser about our destination a couple of weeks ago and reader Jennifer correctly guessed our location: Dubrovnik, Croatia! But wait, there’s more. A full reveal of all our destinations is below. 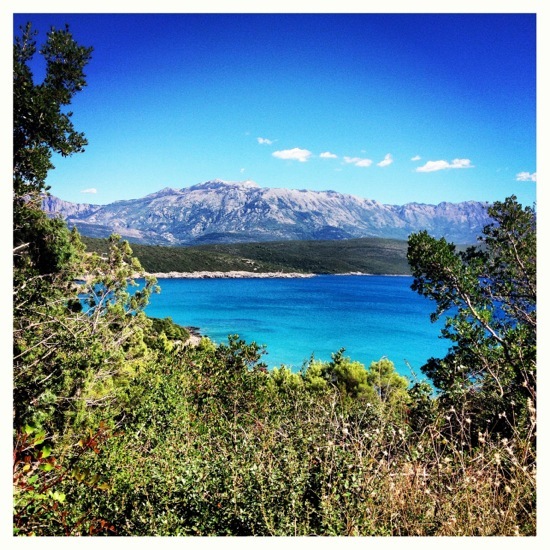 We will post much more later, including details about an amazing bike excursion we went on one day. I received these pictures on my phone last week. 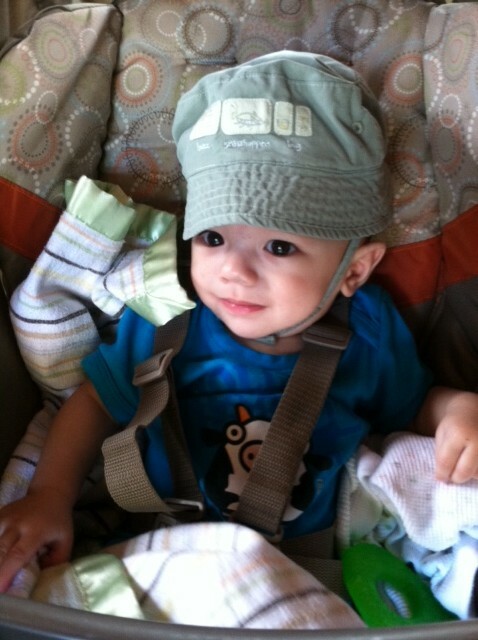 The first is Dante, Melissa’s bebe. Dante is modeling a onesie I bought him in Amsterdam (before he was born) with a cow and HOLLAND written across the front. Okay, the Holland onesie is not strictly bike-themed. Here’s another! The second is Asha, Chika’s bebe, modeling a onesie I made for her with my not-exactly-correct version of a bicycle on front. 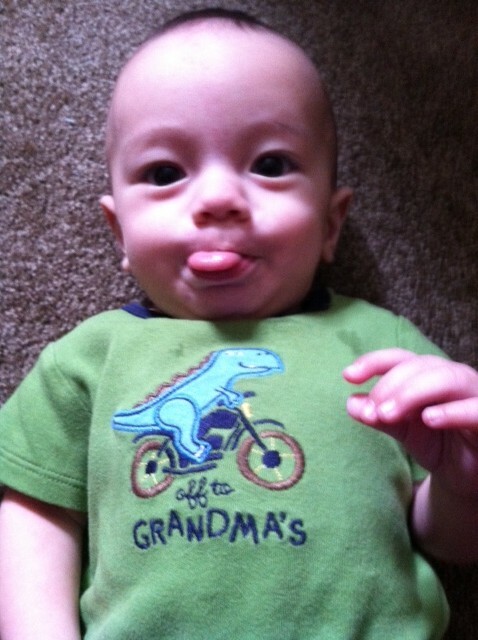 Here’s to the next generation of bike lovers! Jill Scott Rides a Bike! One of my all-time favorite songs to sing-along with while bicycling on the lakefront trail is Jill Scott’s “Golden.” So upbeat and infectious and perfect for starting the day right. It will take me far. Well, I just found out that this song is accompanied by a fabulously cycle chic video. Jill Scott rides her bike among cars on the street while smiling and singing. Yes! Love! What are your favorite bike-a-long songs? Lest you think all we did on our trip to Amsterdam is visit bike shops and examine cycling infrastructure, let me assure you that we also did what we could to sample the culture, food and drink. Here’s what we got up to during our three nights and two-and-a-half days in the city. We stayed in a houseboat on a canal—highly recommended. Dottie unlocks the door while our suitcases wait patiently to enter. We discovered Little Bear on the Water thanks to Cup of Jo, and Anno was an incredible host. He even left us two Heinekens in the fridge. Our first night in Amsterdam we were lucky enough to have dinner with locals—Malay takeout! The next day, we set off on our bikes to check out the Van Gogh Museum. Well, as close as we could get to the Van Gogh museum, which turned out to be the Hermitage Amsterdam since the real museum is being renovated. Since we were right there, we had to try to take a picture in the i amsterdam sign—with limited success (that’s us in the “m”!). After admiring the exhibit (I thought it was interesting that Van Gogh and his brother corresponded in French!) we went to lunch at Gartine, a spot Dottie had uncovered during her Amsterdam research. It’s hard to pick a favorite meal on this trip (see below, plus we ate here in Paris!) but this lunch was definitely the best meal for the money that we had on our trip. We each had a delicious sandwich and shared a custard dessert. After lunch, we got back on the bikes and struck out for Bols Genever, with an unscheduled stop at a book market that we just happened to pass through (love this aspect of traveling!). Dottie bought a vintage bike print. After our time at Bols, we pedaled through Vondelpark to our first dinner out in Amsterdam at Restaurant Blauw. We ordered the rice table, which was a first for both of us but definitely something we want to do again—nothing like having scads of tiny, delicious dishes spread out before you. On Saturday morning, we took a ferry to Noord Amsterdam, which had a completely different, more bohemian feel to the rest of the city. Lots of street art. But BRRR it was cold on the ferry! Then, we returned the bikes to Henry at WorkCycles before hurrying back to our houseboat to meet my brother. Charlie had arranged for a stopover in Amsterdam on his way back from a work trip in Italy. After a brief cultural detour and a couple of drinks, we headed to dinner. We had dinner at a place called Marit’s, which was in a quiet neighborhood and was another of Dottie’s discoveries. Marit serves dinner a few times a week in her home—so it’s sort of a cross between a restaurant proper, and a supper club. 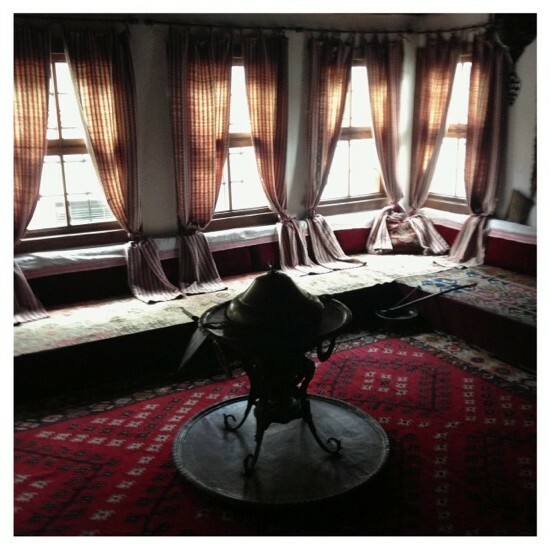 The service was professional, but the atmosphere was homelike and cosy. You know, like the sort of place where you might pause in the middle of the meal to pet a dog. Our walk took us past the Vanmoof factory—we saw a handful of these in the wild on the trip. Eventually, we returned to our houseboat and reflected on how lovely it is to bike and walk everywhere so easily in such a cozy, friendly city. It was up early the next day to head to the airport. Amsterdam, we’ll be back! Visiting the Mothership: WorkCycles in Amsterdam! When I purchased my most beloved WorkCycles Oma, little did I know I would be visiting the mothership four years later, hanging out at the home of the founder and his family. Lucky for me, Henry, the owner of WorkCycles, is a very cool guy. When I told him Trisha and I would be visiting Amsterdam, he was absolutely welcoming. He and his wife opened their home to us our first night in town. After a scenic bike ride with his children, a delicious dinner, and a crash course in navigating the city, he sent us off on two lovely WorkCycles for the remainder of our visit. It was so nice to spend time in someone’s home after being on the road for so long! We were both so impressed with Pascal’s riding skills—at just four years old, he was navigating the streets on his own like a pro. Henry’s wife is from Japan, so both children speak three languages: English, Japanese and Dutch. Which made conversations with 2-year-old Pia especially interesting! Pascal, best four-year-old cyclist in Amsterdam—nay, the world! Here we are with our adopted WorkCycles. Cycling Amsterdam like locals rather than on bright red rental bikes was cool, and being totally comfortable with handling Dutch bike helped us navigate the crowded bike paths with ease. Now here is a special tour of the WorkCycles shop. This place was warm, welcoming, and packed full of goodies! Bike specials of the day! Family of four? WorkCycles has a bike for that! On the day we returned our bikes (so sad) the weather had turned out chillier than we anticipated. Perfect timing to get some cozy WorkCycles hoodies—which have been favorites for both of us ever since. Booking it home after we’d returned our bikes—thank goodness for the hoodie. If you are ever in Amsterdam, we highly recommend a stop by WorkCycles! Visit Henry’s blog, BAKFIETS EN MEER. It’s been months since we got back from our first visit to Amsterdam. It’s safe to say that both Dottie and I loved the city even more than we expected to, and not just because of the biking. 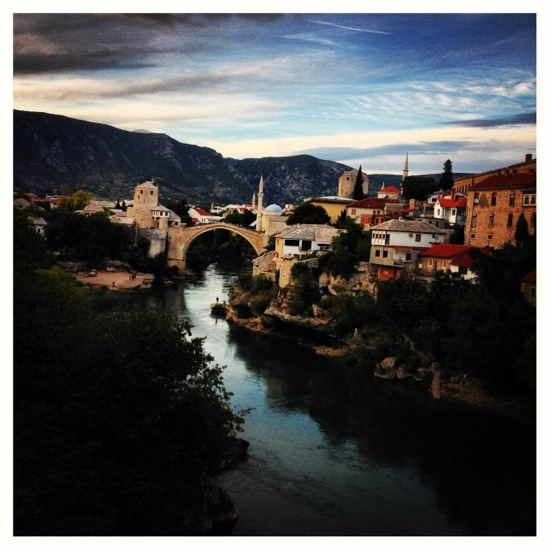 We were impressed by the city’s beauty and charm, the friendliness of its people and the deliciousness of its food. 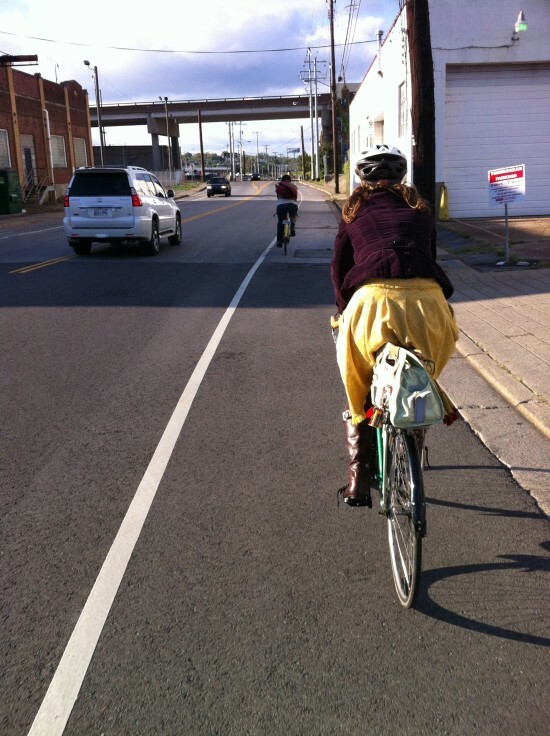 But first things first: Here’s a little bit on how we felt about biking in the City of Bikes. To start, if you are wondering whether Amsterdam’s reputation as such has been overstated, I can tell you emphatically that it hasn’t been! Bikes are literally, absolutely everywhere. Drivers are in the minority and in general act accordingly. When your bike is one of many, it seems even more important to make it stand out. Many Dutch bikes were decorated or had custom baskets, etc. Sunflowers seemed to be a popular theme. Henry at WorkCycles set us up with bikes (more on that in another post) and our first ride in the city was with him and his family, including 2-year-old Pia and 4-year-old Pascal, who rode his own bike alongside us through a light rain. Dottie’s bike was called Bonnie! My bike, which was sadly nameless. I propose “Trisha”! The infrastructure was pretty much a cyclist’s dream—lights, turn lanes, bike paths, signage. Casual Amsterdamers on their bikes. But we thought that the most bike-friendly thing about Amsterdam was the terrain. Neither dully flat, nor obnoxiously steep, in general the terrain seemed to be made up of what felt like gently rolling hills, which give you opportunity to coast without ever seriously taxing your legs. It really seemed like we could have biked forever. We did find the city’s circular structure and canals slightly tricky to navigate at times, but biking in Amsterdam never felt less than completely safe. I check the map for the 10th time. But it wasn’t entirely stress-free. Coming from a city where bike parking is not exactly at a premium, at times it was frustrating to spend as much time trying to find somewhere secure to park the bikes as I might have to spend stalking a parking spot at the Green Hills Mall on Christmas Eve! Sometimes bike parking was frustrating—no empty spots on the rack! A lot of Amsterdam cyclists seemed pretty sanguine about the whole thing, often just parking their bikes on the sidewalk and locking the wheel to the frame, à la Sheldon Brown. We didn’t feel comfortable doing that with our WorkCycles, so often Dottie and I would split up and head in opposite directions to find our spots. Bikes locked, but not to a rack. Despite the parking issues, bikes are absolutely the most efficient and economical way to get around a compact city like Amsterdam. 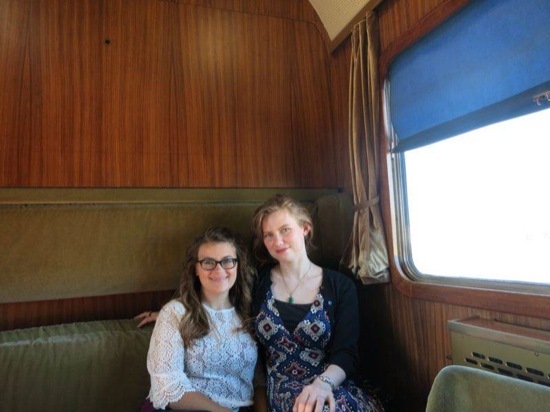 We did take the tram and the subway during our trip. While both were convenient and easy to figure out and use, they were extremely expensive: 2,70 Euro for one hour of transit, or 7,50 for 24 hours. While I’m sure residents have the option of buying less expensive monthly or yearly passes, riding your bike is free and probably takes about the same amount of time, if not less. The tram payment person—not to be confused with the driver! Basically, biking around Amsterdam is easy, fun and makes you feel like a local (well, if locals had to consult maps every five seconds). It lived up to everything we imagined, and then some. More Amsterdam posts on the way in the next couple of days! This time of year, lots of people spend their weekends hiking or taking drives to look at autumn colors. Which is all well and good, but you don’t have to leave the city to spend an active day out of doors. On Sunday, we had a bicycle brunch at West End Café. It was a beautiful day with temperatures in the high 50s. Newlyweds! Jess & Sten got married on November 3. I pulled the Bat out for the day. Afterwards, most of us went downtown to check out the Mayor’s 5K. Stephanie and Jonathan left before the start, but Whitney had registered and Lauren and I decided to walk along with her. Walking a 5K in boots while carrying a purse? Why not? We felt a tad out of place, not being clad in sweats, tennis shoes or t-shirts, but walking such a short distance in city clothes is really no big deal. Besides, who could miss out on the chance to enjoy city streets closed off to car traffic? Not this trio. 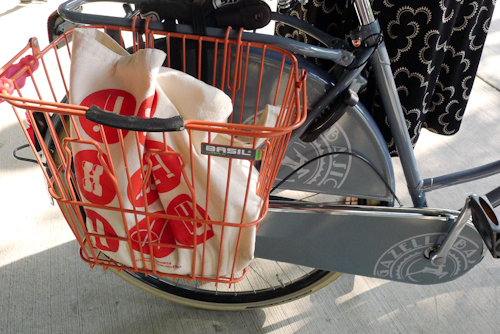 After the 5K, we ate some free snacks and checked out the Bcycle terminal…bikes TK next month. Then we went to get our bikes for the ride home, stopping to admire the picture they made in front of the red trees and new courthouse shining in the late afternoon light. Who says you can’t enjoy fall color in the city? Whitney and I took the long way home to check out the new 28th Ave Connector, which has a protected bike lane. I was too busy enjoying the ride/huffing on the uphills to take a picture of my own, not that you get much of a chance for photos on a ride that’s only just over a quarter of a mile, but here’s one from WSMV (click for more details on the connector, if you’re curious). Image courtesy of WSMV, obviously! When I got home after my 5-hour outdoor day, I headed directly to the couch. Where I’m fairly certain someone else had been for the entire day. The sticker is not made specifically for bicycles, of course, but my Velorbis has a convenient license plate-like area perfectly fit for such a sticker. Instead of peeling off the backing, I stuck some electrical tape on the back side and so far it’s holding up well. I’m ridiculously proud of/smug about this bumper (fender?) sticker. If you look closely at the picture below, you will see that both Coco and Betty Foy are locked to the bike rack. Did I carry one in the other’s basket, you may be wondering. Surprisingly, no. I biked on Coco and Mr. Dottie rode Betty Foy because his bike has a mechanical issue that requires a part to arrive in the mail. In the interim, my bikes to the rescue! I admit that watching him perched atop Betty (and Oma another day) is pretty hilarious. Both bikes are fine for men, but are not his style, with his sporty helmet and backpack, and he does not bother to raise the seat. I tried to ride his Civia Hyland before, but I can’t even stand over the top bar unless I have on high heels and I’m uncomfortable with the aggressive positioning. Do you ever trade off bikes with your partner? How does that work? While at J.C. Lind Bikes the other day, I met Holly, who was looking all cycle chic and introduced herself as a reader of LGRAB. What a lovely chance meeting! I fawned over her Carolina blue Gazelle, which she purchased last year. How great is the blue with the cream tires? 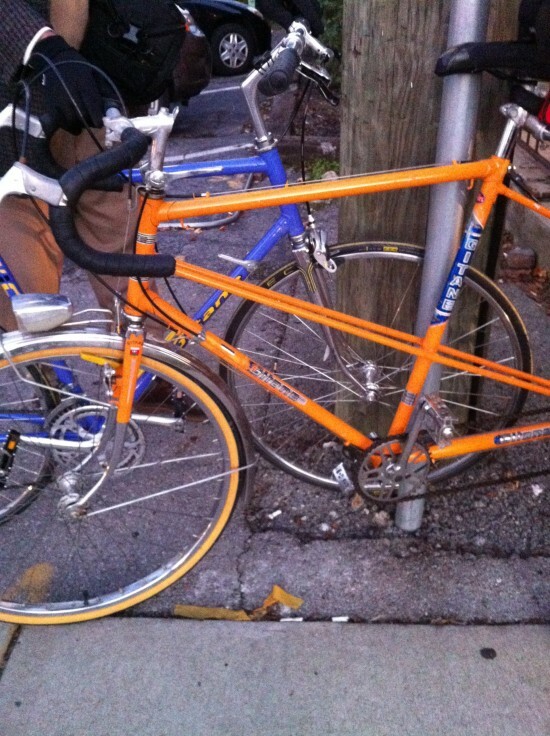 I also loved her use of an orange wire Basil basket on her rear rack. 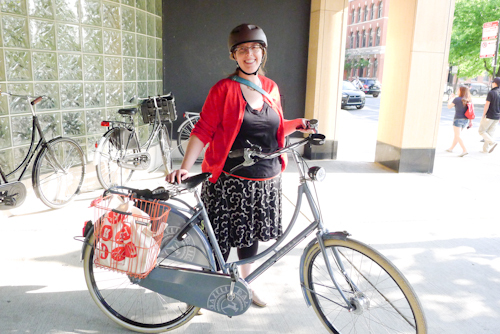 She simply slipped the handlebar holder prongs over the Gazelle’s thick rear rack and added one zip tie for extra hold. I might have to use this idea with Oma or Coco. I got Holly’s email address and followed up with her for more information on her bike life. I just got back on a bike five years ago after a 20 year hiatus. I grew up on a gravel road, so I had never ridden a bike IN a city and it took me quite a while to build up courage. After reading your blog and realizing that commuting to work did not have to include another set of clothes and a shower but actually, you could wear the cutest damn outfit and just enjoy the ride, I decided I could probably do it, too. 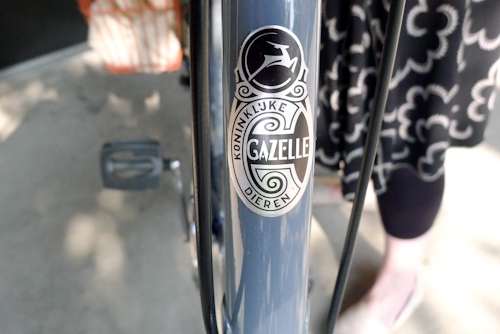 I bought my Gazelle at JC Lind last summer after trying out a lot of bikes and doing a lot of research online. Your reviews and posts made a world of difference for me in helping understand important features and the needs for commuting and commuting in Chicago. I decided that the Gazelle Basic was the best option for a “beginner” Dutch bike. I wasn’t fully ready for the financial commitment of the “super” Dutch bikes! If there is something I’d want others to know, it’d be that biking means different things to different people. You don’t have to be fast and you don’t have to be fit, you just have to enjoy being out there, but please, bike polite! Meeting people like Holly reminds me how cool biking women are and how happy I am to reach so many of them through LGRAB. If anyone sees me out and about, please say hi! I’d love to chat. I recently received a message from Pam, a proud Rivendell Betty Foy owner and reader of LGRAB. She shared with me the custom Betty Foy stationery that she created and then sent me one in the mail. So pretty! Pam traced a photo of her Betty and took the drawing to a stationer, who made a plate and letterpressed the cards. She carefully matched the frame color and, if you look closely, you can even see the water bottle and Po Campo bag on the handlebars. Her full name is pressed into the top of the card in the same color. This custom stationery is such a great idea. I appreciate the time, thought, and work that Pam put into creating these cards. Stationery is a soft spot of mine and seeing others who appreciate fine paper as much as fine bikes warms my heart. Has anyone else created personalized bike art?